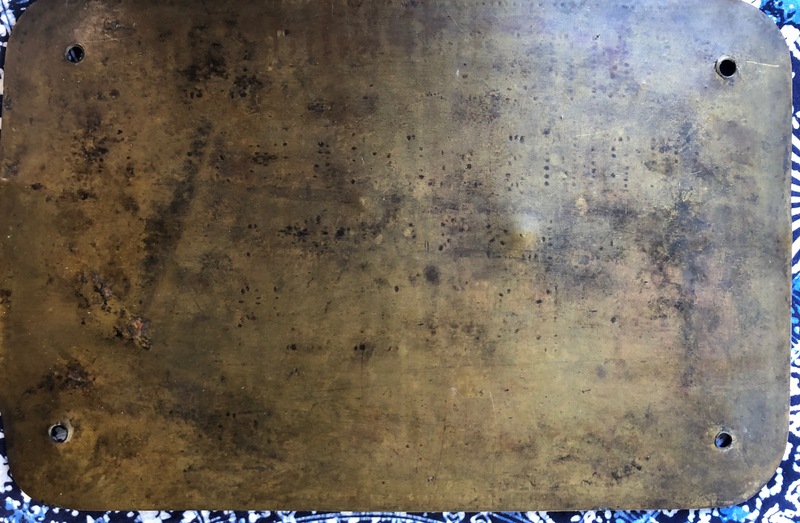 This original very heavy brass placque measures 10" high x 14" wide. In 1859, Charles Evrard purchased a company called Parmentier Freres et Cie that was based in La Croyere (La Louvier, Belgium). 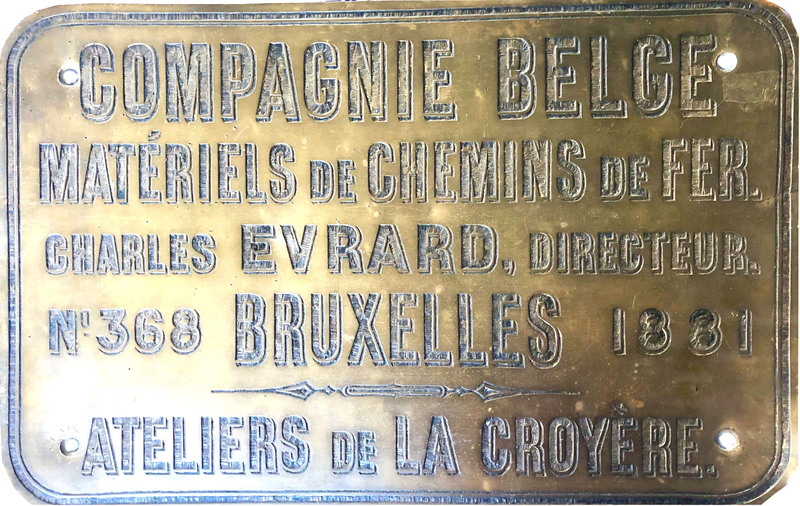 Merging with Atleiers Charles Evrard of Brussels to form the company named on this placque. At the ExpositionUniverselle of 1867 in Paris, the company exhibited a locomotive, passenger coaches and a steam rail crane among other things. 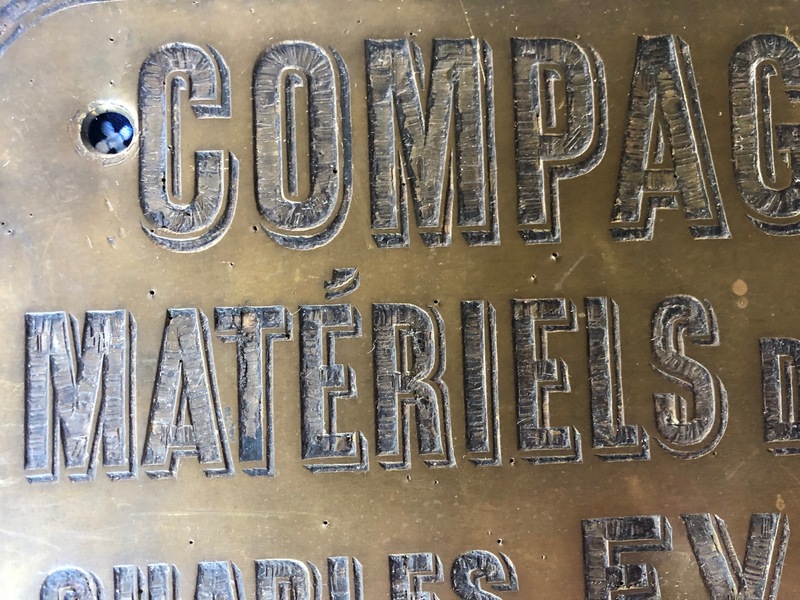 This placque dated 1881 is the last one ever at La Croyere as in this year the plant in Brussels was closed and a new compny was formed, in alliance with the French. A great companion piece for the 1937 Belgian Expo poster.